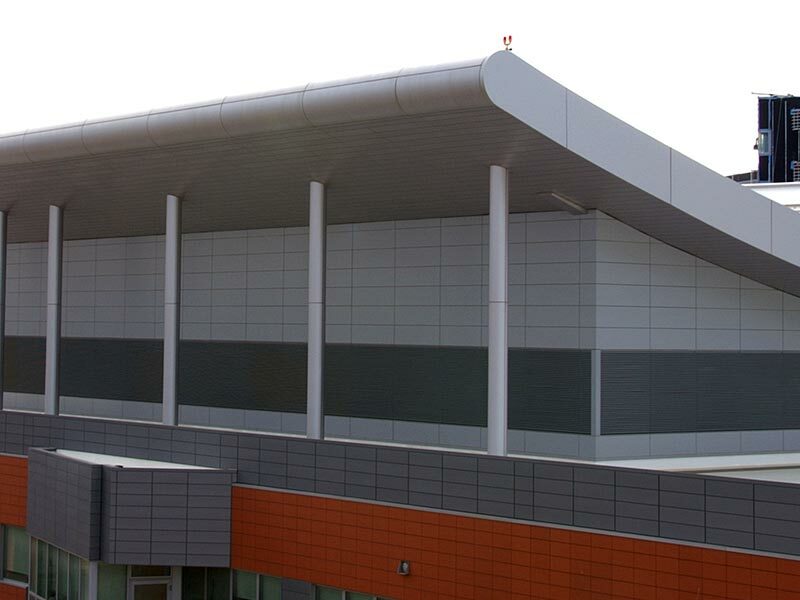 Founded in 2000 on the principles of providing customer service and high quality products, our metal panel division will meet the needs of the demanding architectural metal panel systems market with accurate communication, creativity, an adherence to schedule and high quality products. 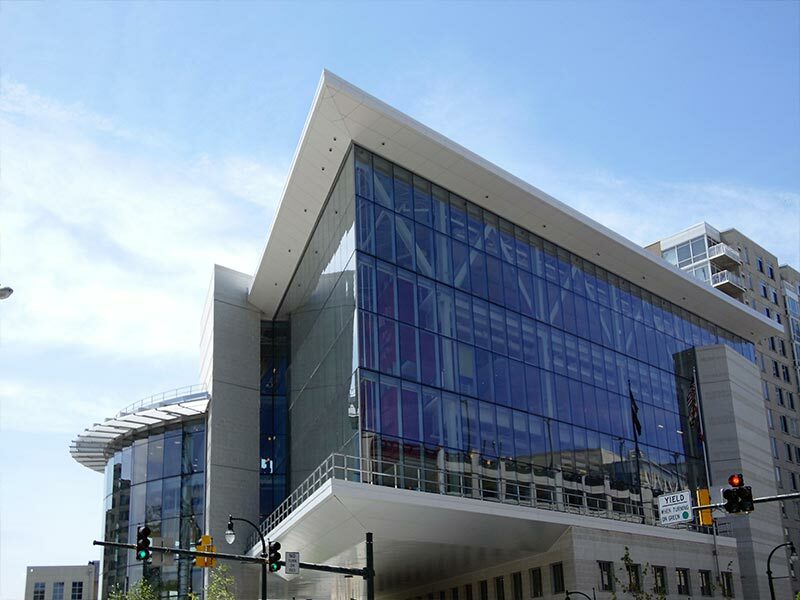 Our commitment to safety, quality control, manufacturing technology, and an experienced team of Project Managers and Engineers allows us to be a reliable contractor for our clients that consistently delivers a high-quality metal panel system. 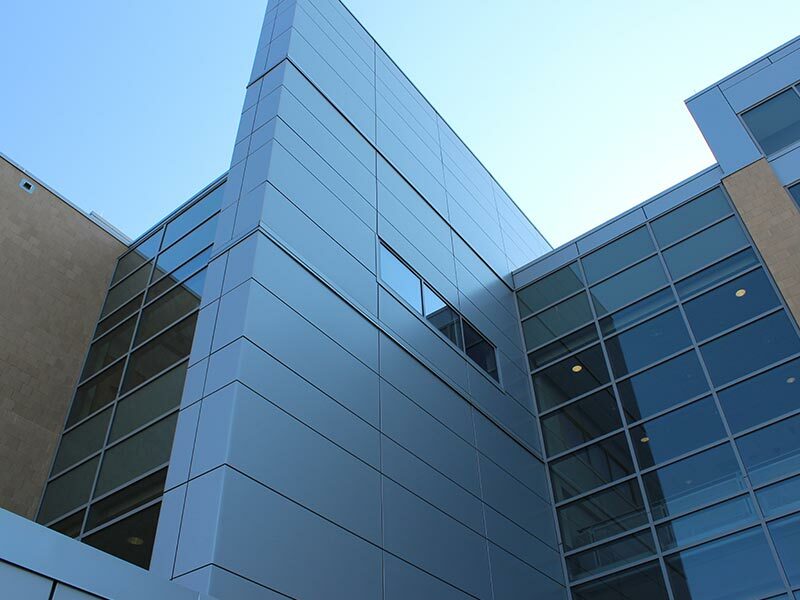 TSI is one the largest fabricators and painters of architectural metal panels. 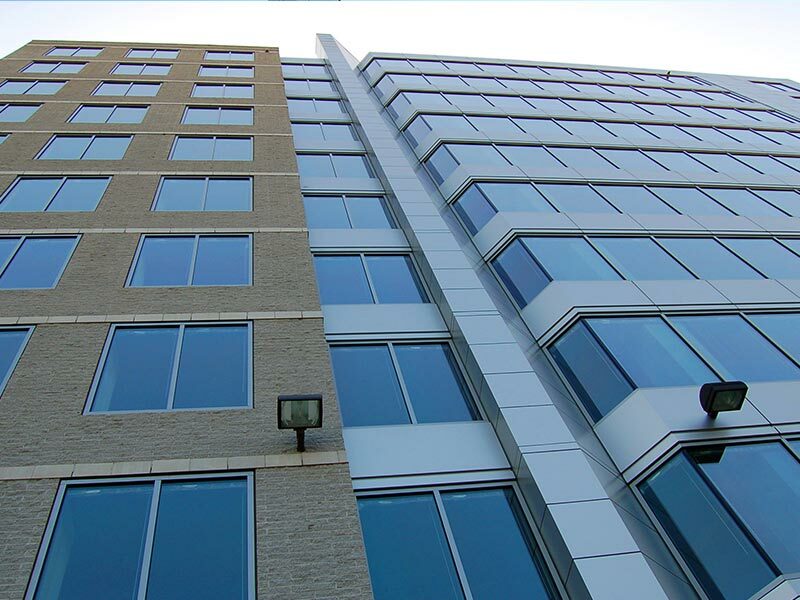 TSI specializes in Aluminum Composite Panels, Aluminum Plate Panels (0.080 – 0.125), Architectural Painting, Fabricated Break Metal, and Fabrication Services for steel and aluminum curtainwall systems. With a dedicated team of in-house drafters, TSI is one of the few companies in the industry offering complimentary engineering resources. The Drafting Department within TSI supports both our Design Assist construction and our service work. TSI specializes in composite aluminum and aluminum plate panel fabrication using state of the art CNC Routers and Computerized Brakes, Shears, and Rolling Equipment. 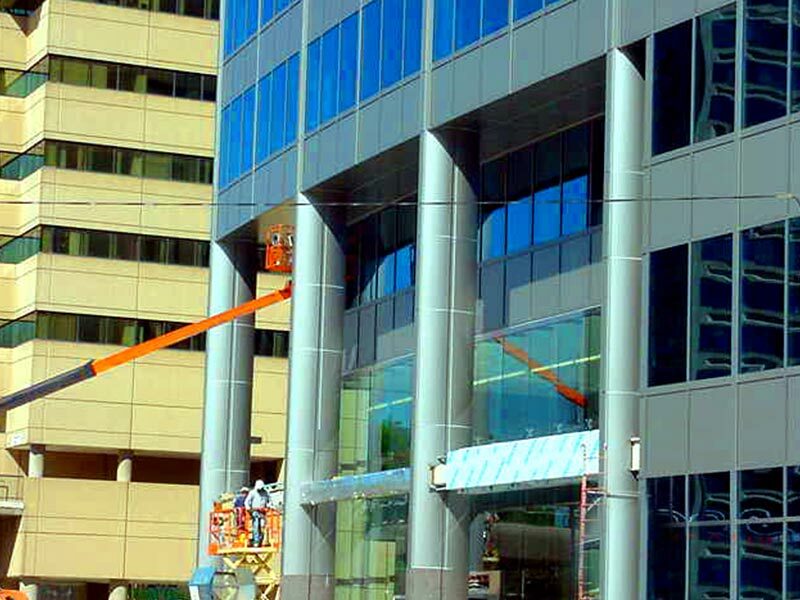 TSI is also a certified paint applicator of PPG Product Megaflon and Coraflon, where all painted products have a baked-on finish, providing a 10 year warranty. 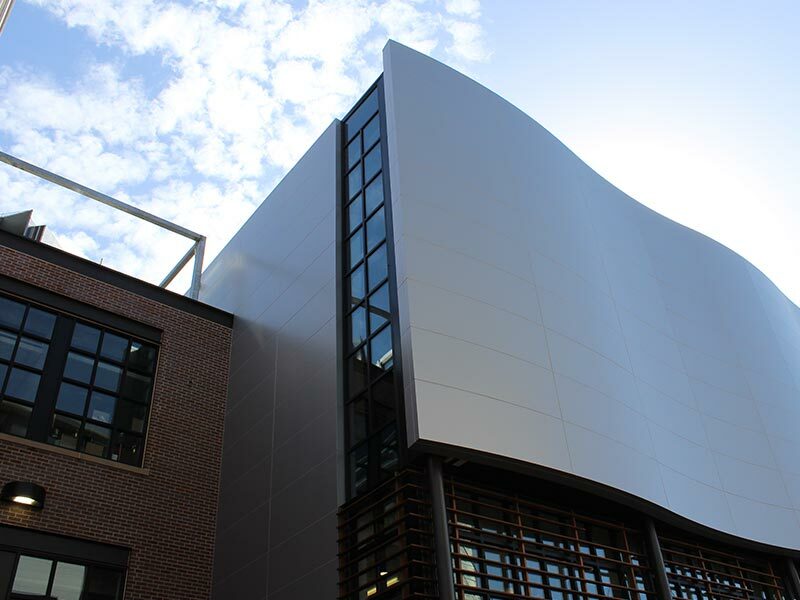 TSI also maintains partnerships with Reynobond, Alucobond, Alpolic, Kingspan, Morin, Larson Engineering and others to assist with material and design needs. TSI’s proficient installers allows us to offer a turn-key, fully coordinated in place panel scope. We believe in a proactive approach to panel installation by involving a field operations manager in the early stages of a project. Working with the operations manager and the project manager, the field operations manager helps develop a plan that encompasses layout, field dimensioning, installation, and project close out. This strategy aims to recognize and address potential issues early on before they become major issues.